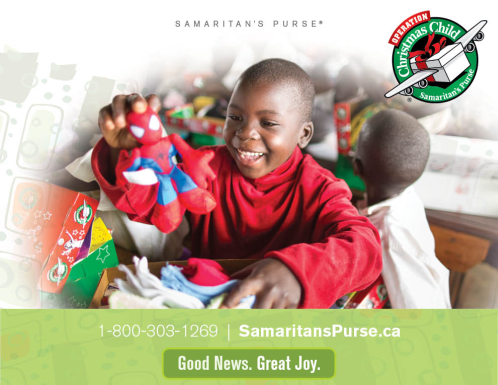 Samaritan's Purse has a wonderful outreach called Operation Christmas Child where people can fill shoeboxes with gifts for a child who might otherwise not receive anything. Samaritan's Purse ensures that children all over the world receive shoeboxes regardless of race, religion and gender. For homebodies, you can "fill" a shoebox online for approximately 25 - 37 dollars depending on your country of origin. BUT, I highly recommend getting involved with the hands on process of filling a shoebox. Children can draw or write out lists of essentials and can pick items out themselves at the store. This is a great way to show your children that it is such a blessing to give to others. Collection dates are November 16-22, 2015.